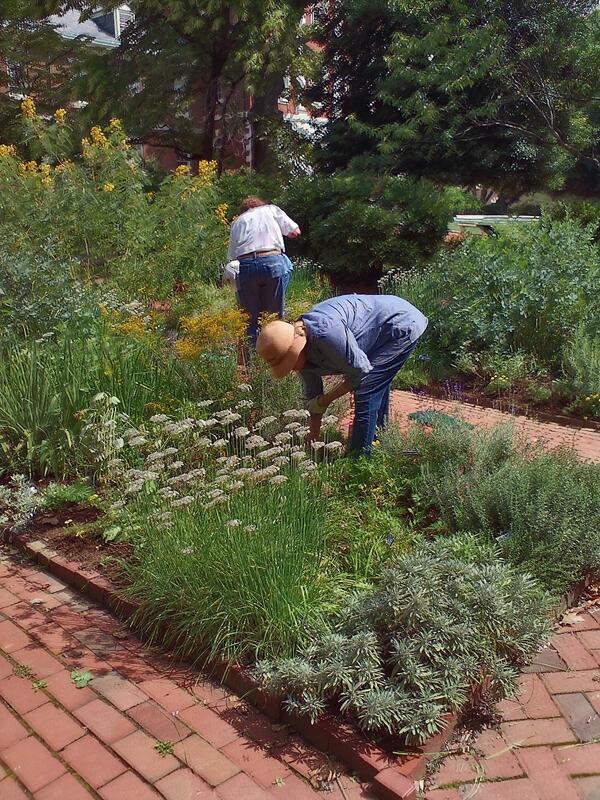 The Philadelphia Committee of the Garden Club of America is committed to the upkeep of two gardens: The Physic Garden located at Pennsylvania Hospital and The Magnolia Tribute Garden on Locust between 4th and 5th Streets. 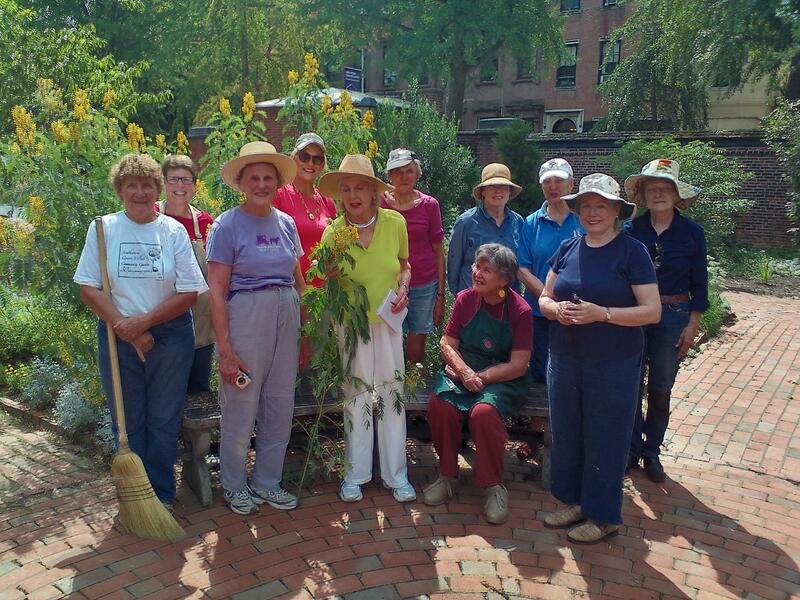 The Physic Garden was solely a project of the Philadelphia Committee and is tended by garden club members and local residents many days throughout the growing season. 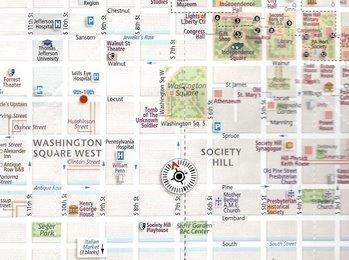 Left of the compass on the map is the location of Pennsylvania Hospital where the Physic Garden is Located. 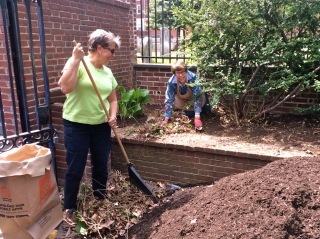 Author Judith Jackson visits the garden on one of our work days to research material for a book she is writing on herbs as they relate to healing. 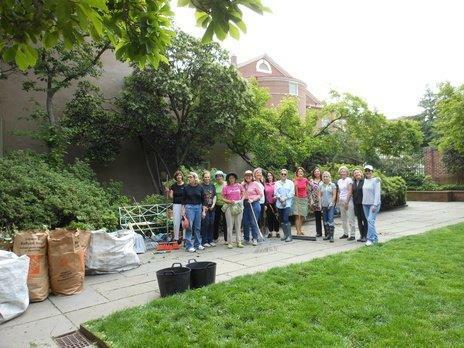 The Magnolia Tribute Garden, on the south side of Locust Street between 4th and 5th Streets, was donated by the Garden Club of America in honor of the founders of our nation and dedicated in May 1959. George Washington's expressed interest in magnolia trees inspired this garden. Around its walled perimeter are 13 early spring blooming hybrid magnolias suitable for northern climates. They represent the 13 original colonies. Enclosed by wrought iron fences and gates, the plantings include Saucer Magnolias, Narcissus Snow Azaleas, Honey Locusts, Cottonasters. There is a central feature of a fountain as well as a wall fountain where the dedication plaque can be viewed. 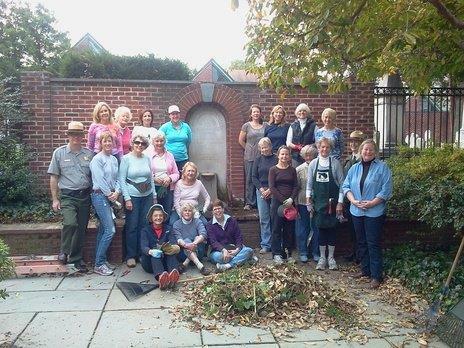 In honor of 100th anniversary of the National Park System, The Philadelphia Committee of the Garden Club of America is currently working to restore the garden for the enjoyment of generations to come. 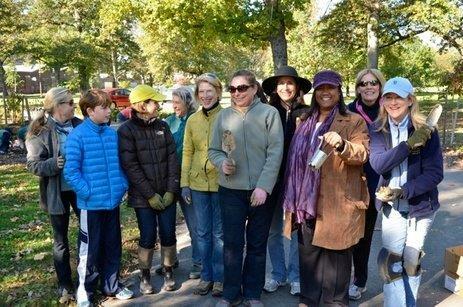 NEW EVENT: Concourse Lake has been included in the Philadelphia City-wide "Love Your Park Work Day". 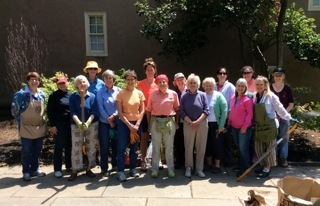 Thank you to all PCGCA members who donned their gloves and brought their garden tools to the work day to work along side the area residents.